Oft associated with its debut on the Tinker Hatfield-designed Air Jordan 3, Nike‘s iconic elephant print has remained a staple pattern throughout Nike and Jordan Brand releases for more than two decades. 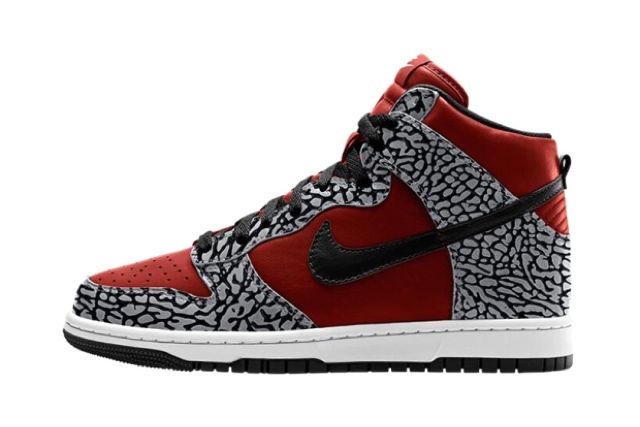 Now, the print has been tapped for the latest limited edition customization option from NIKEiD. Users can add the bold motif to everything from the mudguards and quarter panels to the toe boxes and Swoosh branding on a range of classic silhouettes. Elephant takes on the Air Max 1 and both high- and low-top Dunks are now available online for $140-$150 USD.